All companies, regardless of how large or small, run on their data. There is not a business today ranging from the smallest sole proprietorship to the largest global corporation that could survive the loss of all or even a large fraction of its data. So backups are imperative to ensure the long-term safety of data. There are many options for performing backups – both commercial and open source tools. Best Couple of 2015: tar and ssh article showed that fancy and expensive backup programs are not really necessary to design and implement a viable backup program. 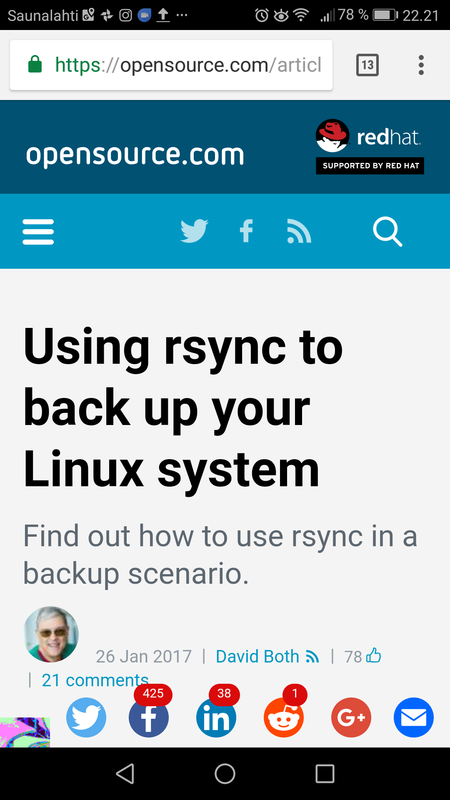 Another viable backup option is the rsync command which has some very interesting features for backup task.